Is the Good News of Jesus relevant to us today? Born out of a file cabinet full of ideas and articles in Willard’s office, this compilation of his work is truly spectacular. Willard was an ordained Southern Baptist minister who built a career as one of the foremost teachers of philosophy in his time. He maintained a unique balance between progressive and conservative thinking which positions him to be increasingly relevant during current ideological debate and its resulting clash of ideas. Black compiled this book with the intention of presenting the full range of Willard’s thoughtful teachings so that readers will have the broadest sense of his work possible. 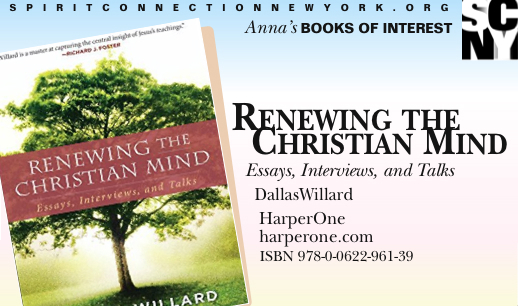 Despite a career teaching philosophy, Willard firmly believed that spirituality must be solidly grounded in the physical world in order to have true value to human beings. According to Black, Willard had a core belief in the power of ideas to affect everyday life. He devoted much of his career to keeping the Good News of Jesus and his teachings alive and well for humanity. The timeliness of his writings is summed up in the first sentence of the first article in the book: The ultimate freedom we have as human beings is the power to select what we will allow our minds to dwell upon.